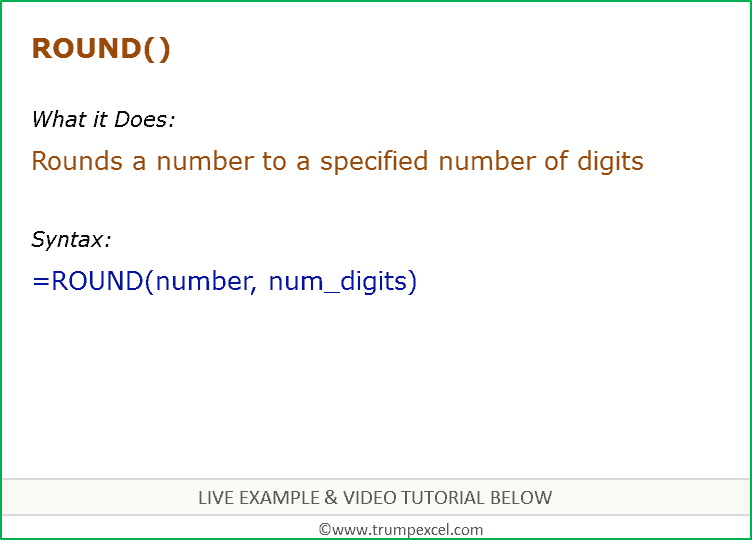 ROUND function can be used when you want to return a number rounded to a specified number of digits. A number rounded to a specified number of digits. number – the number that you want to round. num_digits – the number of digits to which you want to round the number argument. For example, =ROUND(500.51,1) would return 500.5. For example, =ROUND(500.51,0) would return 501. For example, =ROUND(500.51,-1) would return 501.